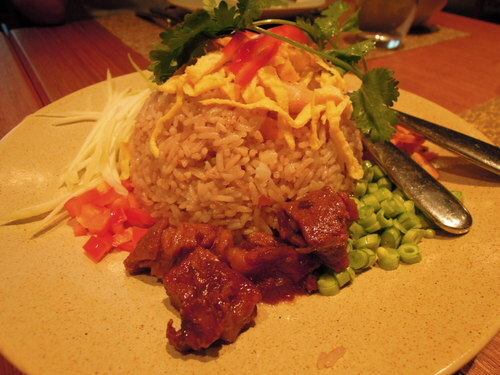 Mango Tree has been offering authentic and excellent Thai cuisine since its establishment in Bangkok, Thailand in 1994. 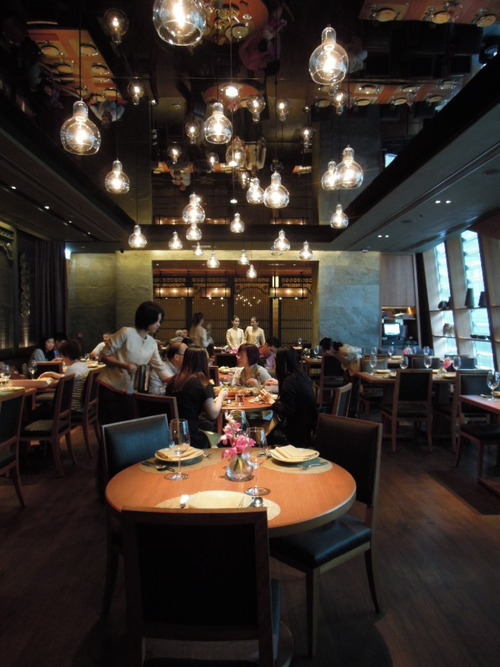 With restaurants all over the world, including London, Tokyo and Dubai, Mango Tree is a renowned global chain that presents traditional Thai food in a modern, relaxed setting. Mango Tree was opened in Hong Kong at the end of 2011, and is situated in Cubus, a sleek office and retail complex on Hoi Ping Road in Causeway Bay. Having been impressed by the Mango Tree branch in Bangkok, I was really excited to finally visit its Hong Kong branch! The interior of the restaurant is small, but is stylish and and charming, with dark wooden furniture and glass ornaments completing its contemporary set-up. The staff at Mango Tree are predominantly Cantonese-speaking Thai ladies. 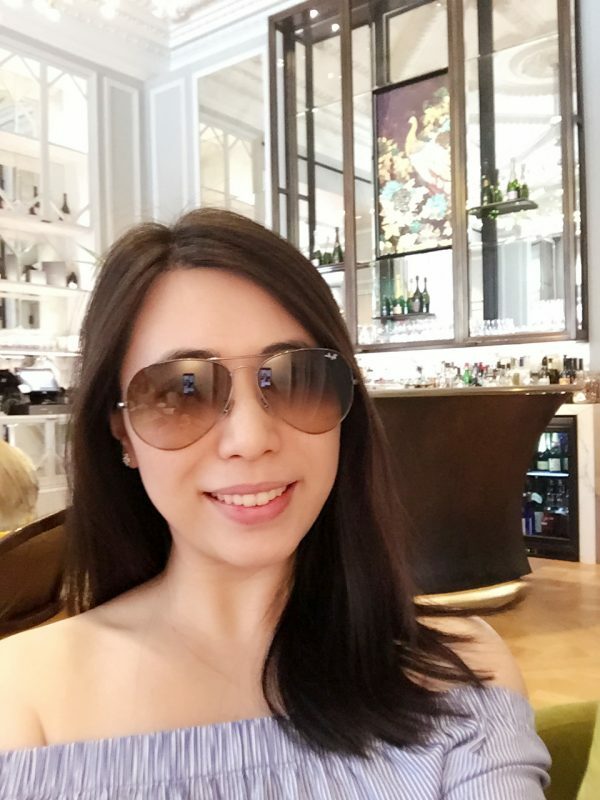 While the service was assured and reliable, it was lacking warmth and conviviality – perhaps the waitresses could have smiled a little bit when they were speaking to us! The menu at Mango Tree seemed very limited at first sight, but it was a careful selection and we were able to find all the classic, well-known Thai dishes that we wanted to order. Moreover, perhaps thanks to the uncomplicated menu, the food arrived within minutes after our order! 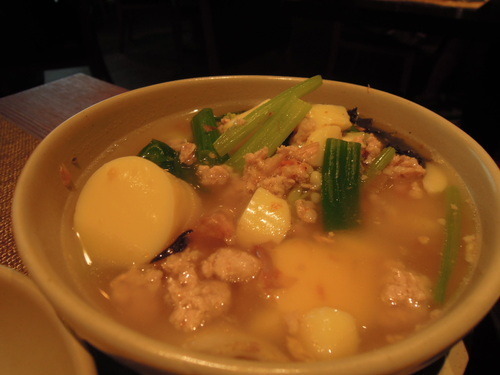 (1) We started off with a Tofu and Minced Pork Soup ($78), which was warm and soothing, and had a simple yet delicious flavour. I loved the variety of textures to the soup – the smoothness of the egg tofu, the softness of the rice vermicelli and the slight crunchiness of the seaweed. 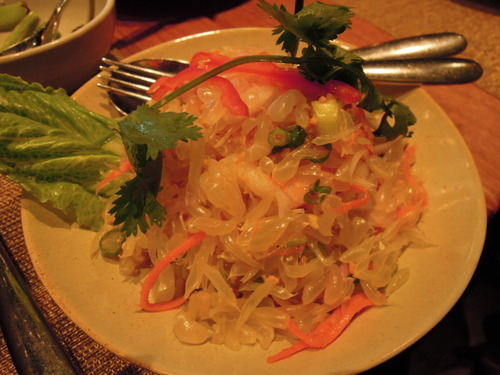 (2) For salad, we picked the Pomelo Salad ($138), which was mixed with tiger prawns, roasted coconut and crushed cashew nuts, and was dressed in a spicy lime sauce. Despite the fact that I had to try not to think about how many pairs of hands have been touching and peeling the pomelo for this salad, the fruit was incredibly juicy, without the bitterness that you sometimes taste in pomelos. The spicy lime juice was tingly and refreshing, and the fresh tiger prawns were large and crispy and produced a fantastic contrast with the sweet and soft fruits! (3) This hearty Green Curry Chicken ($148) was skillfully executed, with the chicken being soft and succulent, and the curry sauce being cooked to a perfect thickness, with just the right amount of coconut taste and spiciness. Note, though, that rice has to be separately ordered. (4) Being perpetually addicted to Pad Thai, this was one of the rare occasions when I decided to try something new, and opted for the Shrimp Paste Fried Rice ($128) instead – and I absolutely loved it! The fried rice was glutinous enough for my liking, and was beautifully served with finely chopped vegetables and pineapple on the side. Accompanying the rice were some gorgeously flavoured tiger prawns and braised pork. The braised pork’s texture was a bit too tough, and the the taste of the shrimp paste could have been stronger, but the layers of flavours of this fried rice just really captivated me! (5) For desserts, we shared a Sticky Rice with Mango ($85). 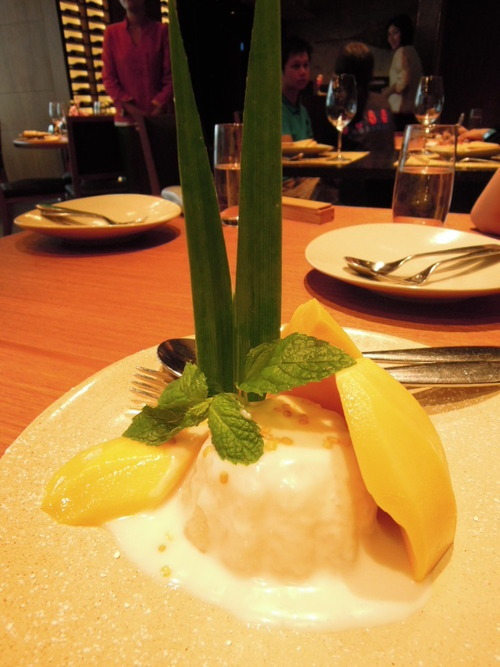 The mango was amazingly sweet, the sticky rice was coated in a thick coconut cream and had a magnificent texture. The dessert overall had a completely appropriate level of sweetness and was alluringly presented. Good job to Mango Tree for turning such a simple dessert into something inspirational! 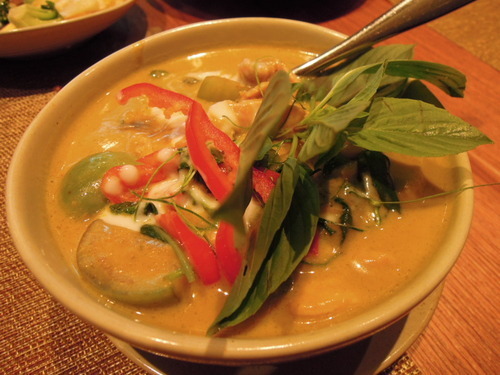 Conclusion: The ingredients that Mango Tree used were refined, and all the dishes we tried were meticulously prepared, showing off the restaurant’s consummate expertise in traditional Thai cuisine. As the portions were not big at all, be prepared to pay around $300 per head for lunch and around $500 per head for dinner. With the delicate presentation and appealing flavours of the food, Mango Tree is simply a cut above many other Thai restaurants in Hong Kong.